How's it going talkers. Just a little intro for the people who don't know me. I've been a member of this site for 7 years and when I joined I knew absolutely nothing about growing weed. Everything I've learnt has come from hours of reading and watching other people's grows. And now of course the trial and error of growing the plant we all love. Somehow way back when I joined I decided I wanted to grow the hydroponic way. I started off in a wilma in a wooden shed in my garden and managed some pretty reasonable harvests out of it despite no heating and less than favourable conditions. I've moved myself up to running an alien rdwc hydroponic system now inside the house where it's warmer and can control the conditions a bit better which is resulting in better crops each time. 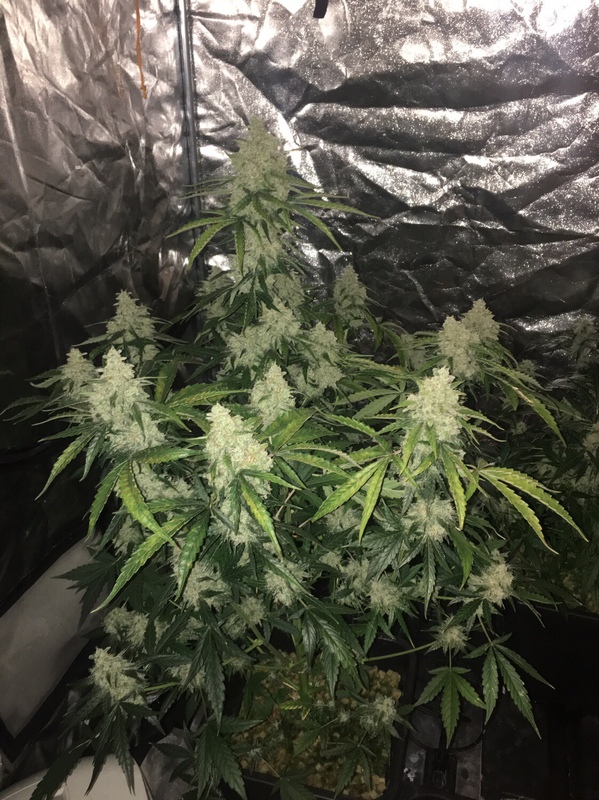 I've grown photos and auto flowering plants and although I've been lucky enough to not come up against any major issues I've competed against deficiencies and bugs in a few of my grows. I have only grown using Dutch pro nutrients and have gone through quite a few litres of the stuff so quite confident with it now. So if anyone needs any help with hydro or rdwc or nutrients used in hydro systems I'm here to help as best I can. And if I can't help then I'll help you find the answer as there's many a good person loitering in the hydro section always willing to help. Few pics of my past grows below . Iron man has kindly linked all my diaries in the other ginger thread so check them out if you wanna see some water grown ganja. Last edited by Ginger-bud; 30-11-18 at 03:37 PM. Nice to meet ya and thank you for giving me someone else to pester with questions! I have been considering trying the Hydro method and after having a read of your earlier diaries am considering giving the Wilma system a go. Am I right I?m thinking you never made any mods to your Wilma system? Have seen how this system can be modded to get more out of it but I?m useless with DIY so would struggle to do that. If one were to go for a wilma . Might as well dwc right ginge ? Heck one can make a simple system out of 5gallon buckets and get 2x the weed for the same effort ? Think my first Wilma 4 pot wasn’t much more than ?100 and the alien system is up in the ?1000s now so Wilma is good to get your feet wet if your starting out. I do like the look of these RDWC systems but hard to find any budget systems worth getting and my DIY skills are non existent. I had originally looked at water farms as thought 1 or 2 plants for first run would be more than enough but from the grows/info I?ve read on the two systems it seems topping up the res in a Wilma should be simpler if I?ve understood correctly. How simple a system we talking? Do you have any links that would be worth me reading?